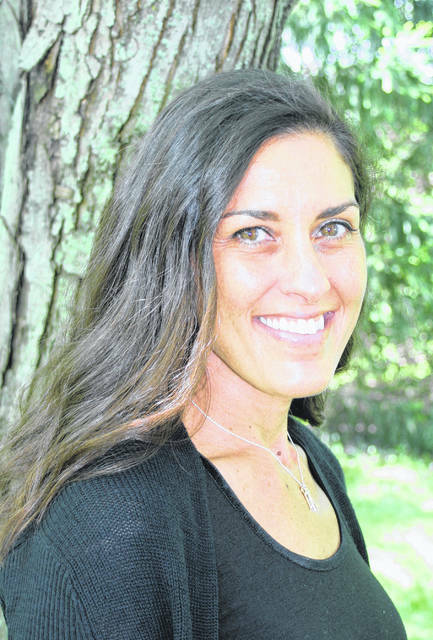 Recovery Works, Pinnacle Treatment Center Network, has hired a new executive director. The facility originally opened in mid-2016. Tiya Stokey, the newly named executive director, is a native Ohioan, originally from Marion. She moved to the Columbus area in 1990 to attend The Ohio State University and currently lives in Delaware with her husband and three children. Stokey’s experience is deep and includes marketing, operations and management. She has worked for four notable organizations who specialize in addiction treatment and substance use disorder. She is committed to helping others and developing a strong and cohesive staff. “We are thrilled that Tiya has joined our organization. Ohio continues to be at ground zero for the nation’s opioid crisis. Pinnacle Treatment Center Network continues to expand across the state including the recent opening of four outpatient facilities with a handful of others to open shortly. We take Medicaid and most insurance at all locations,” said Joe Pritchard, chief executive officer of Pinnacle Treatment Center Network. Pinnacle Treatment operates on a multi-state basis including Indiana, Kentucky, New Jersey, Ohio, Pennsylvania and Virginia, and it treats over 10,000 patients daily. This includes residential, outpatient, intensive outpatient, detox and transitional living programs. “My passion for treating individuals with this disease spans over 10 years. I continue to be reassured that treatment works, especially when it includes care of the whole individual including physical, psychological, emotional and spiritual well-being. Our active alumni network and connectivity with others in recovery through meetings gives both us and our patients great hope,” Stokey said. Pinnacle Treatment Center Network is a full continuum of care that includes outpatient, residential, intensive outpatient, detox and transitional living programs. The organizations Outpatient Treatment Services recently opened four new locations (Chillicothe, Youngstown, Cincinnati and Dayton) with other new locations planned as well. The organization focuses on the physical, emotional, psychological and spiritual well-being of the individual and provides medication assisted treatment (MAT), individual counseling, group counseling and recommends attendance at twelve-step meetings. All locations include physicians, nurses, administrative and support staff. For more information, please visit www.PinnacleTreatment.com. Who is Recovery Works of Pinnacle Treatment Center Network? Recovery Works, residential treatment centers, provides treatment for addiction in residential settings. The organization has operated for over 12 years. • The Recovery Works multidisciplinary team includes medical, nursing, clinical and support staff. We offer faith and church services on a voluntary basis. We work to repair the most important relationships. • The medical director oversees medical and nursing treatment. Individualized treatment is comprised of a variety of evidence-based interventions and practices. • Recovery Works locations are CARF accredited and licensed by the state to provide all levels of care for alcohol and drug treatment. The centers accept most forms of insurance and work directly with insurance companies to provide necessary levels of inpatient stays. We do accept Medicaid. Submitted by Recovery Works Columbus.